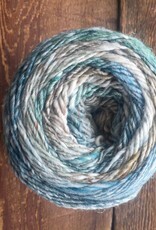 Noro Akari - Spun Fibre Arts, a local and online yarn store specializing in natural fibres. 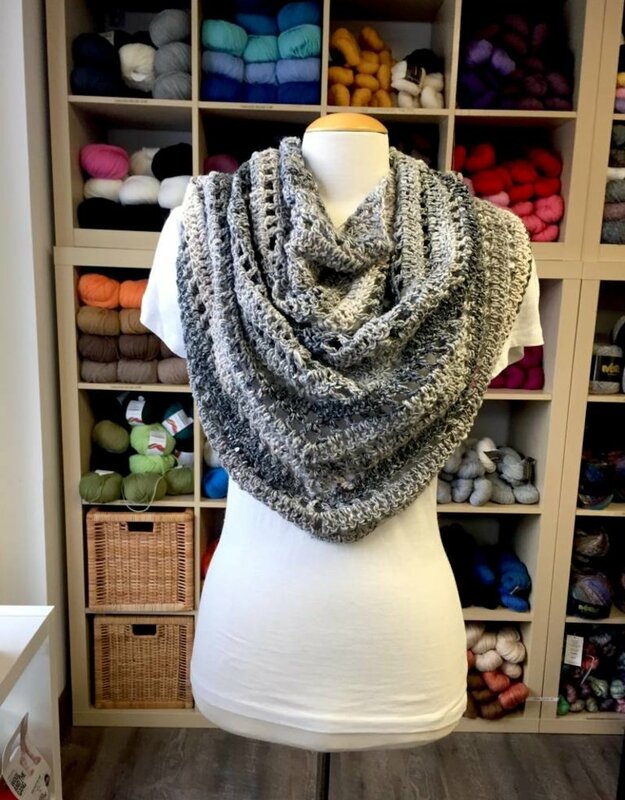 A lightweight blend of fibres that is super soft and perfect for spring weather. 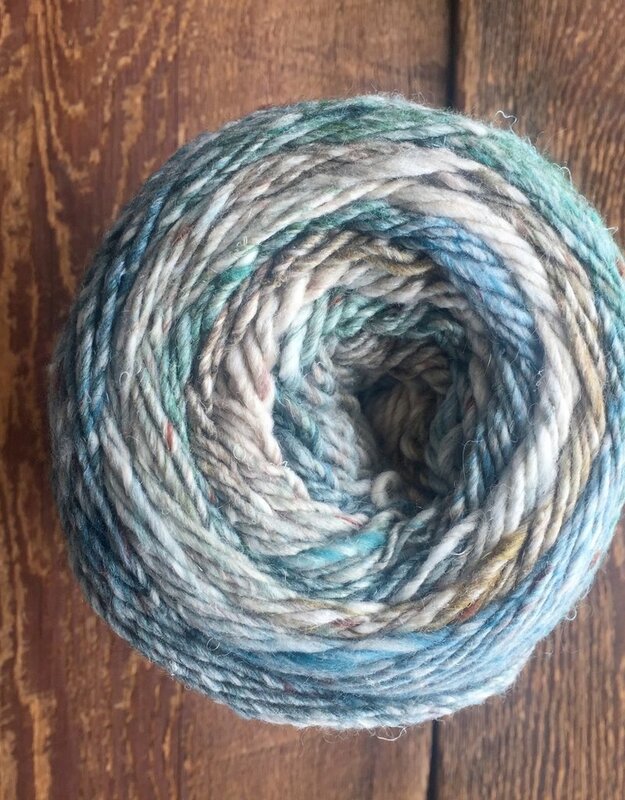 The extra large ball has 528 yards, making it perfect for a shawl or sweater. The colours gradually change from one tonal shade to the next. It is perfect for next to the skin garments. 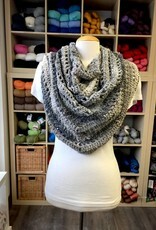 Gauge: 15-20 sts = 4"
One ball will make the Wishing Well Shawl (crochet pattern available on Ravelry) pictured below. 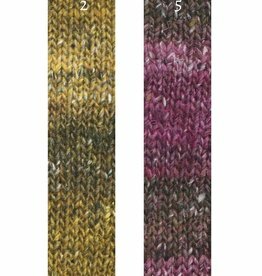 Noro Ito is a brilliant 200g cake of their self-striping wool.